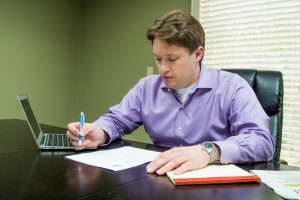 Bluffton, South Carolina DUI Defense Attorney Dustin Lee, Esq. Ready for your complimentary DUI defense initial consultation? Contact our Bluffton, South Carolina, DUI, DUAC, and criminal defense law firm today at 1-800-996-0683 or 1-843-474-0614 (Must Dial “1” First). Dustin Lee, Esq. has handled South Carolina DUI defense matters since 2008, when the firm was founded. Dustin Lee, Esq. has over a decade of DUI defense experience. Dustin Lee, Esq. is a former South Carolina Municipal Court Judge (Bluffton, SC), with experience presiding over misdemeanor criminal offense trials, including DUI and traffic matters. Flat-fees for representation in most DUI and DUAC matters. All fees are quoted during the initial consultation. Dustin Lee, Esq. will personally be involved in handling your defense. We will not “farm out” your DUI or DUAC defense to a lesser experienced Bluffton DUI attorney. Driving Under the Influence (DUI) – 1st Offense: The DUI laws in South Carolina are complex and highly technical, while the direct and collateral consequences of a conviction can be severe. We routinely help clients charged with DUI – 1st offense navigate the complexities of South Carolina’s criminal court system. Driving with an Unlawful Alcohol Concentration (DUAC) – 1st Offense: Think of this offense as an extremely close relative of DUI. Basically, if you “blew” into the breathalyzer machine and registered above a certain level, the State of South Carolina may be able to charge you under this offense heading instead of DUI. Initial Level Administrative Hearings to Challenge Your License Suspension Due to a DUI Charge: If you received a Notice of Suspension impacting your ability to legally drive in South Carolina, we assist our clients in requesting a hearing and thereafter challenging the administrative suspension of South Carolina driving privileges due to alleged “refusals” and due to allegedly “blowing” above the standards set forth in South Carolina law. These requests are time-sensitive, so please contact our office immediately if you have received a Notice of Suspension. Summary Court Level Offenses: The firm represents individuals charged with all misdemeanor offenses (ex: simple possession of marijuana, open container, etc.) that may be incident to DUI charges in Municipal and Magistrate Courts throughout the State of South Carolina. Every day we work toward achieving the best possible results for our clients charged with DUI. The moment you walk into our office, you will be greeted with respect. Our commitment to your best interest does not waver. Call Lee Law Firm, LLC today to setup an initial consultation at 1-800-996-0683 or 1-843-474-0614. Lee Law Firm, LLC serves DUI, DUAC, and criminal law clients throughout the state of South Carolina’s Lowcountry, including Hilton Head Island, Bluffton, Okatie, Hardeeville, Ridgeland, Beaufort, Hampton, Allendale, and Walterboro. Office Information: Our primary office location is 37 New Orleans Road, Suite V, Hilton Head Island, South Carolina, 29928. 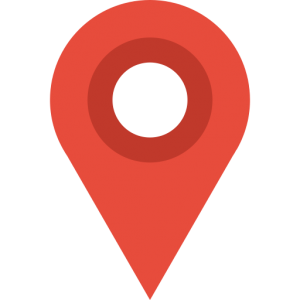 We are located in Orleans Plaza on the South End of Hilton Head Island, near the Sea Pines Circle, on the second floor. We are able to meet with clients and handle DUI, DUAC, and other state level criminal law cases throughout the state of South Carolina. Additional contact information is available on the Contact Us link on this website. Dustin Lee, Esq.